The Exotic Revival style actually encompasses several different styles, all somewhat rare, but so distinctive in design that they are worthy of mention. There are two periods of popularity associated with the Exotic Revival style, an earlier mid-19th century one when the style was first introduced and a subsequent period in the early 20th century when the style was reintroduced and revived again. Buildings from the later period especially of the Exotic Revival style are often of grand size and scale and public use, such as churches, banks, theaters and government offices. The Egyptian Revival style is simply the addition of Egyptian inspired columns and decorative motifs to buildings that are similar to the Greek Revival or Italianate styles in form. Scholarly interest in the archaeological discoveries of ancient Egypt early in the 19th century led to the development of Egyptian-themed buildings. The style attempted to recreate the appearance of Egyptian temples, especially with the use of massive columns that resemble sheaves of sticks tied at the top and bottom. Details refer to ancient Egyptian symbols—the phoenix, the sphinx, and the vulture and sun disk. This style was most often applied to public buildings, banks, prisons, courthouses, offices, and cemetery structures. This style was often chosen for buildings representing eternity and the afterlife. 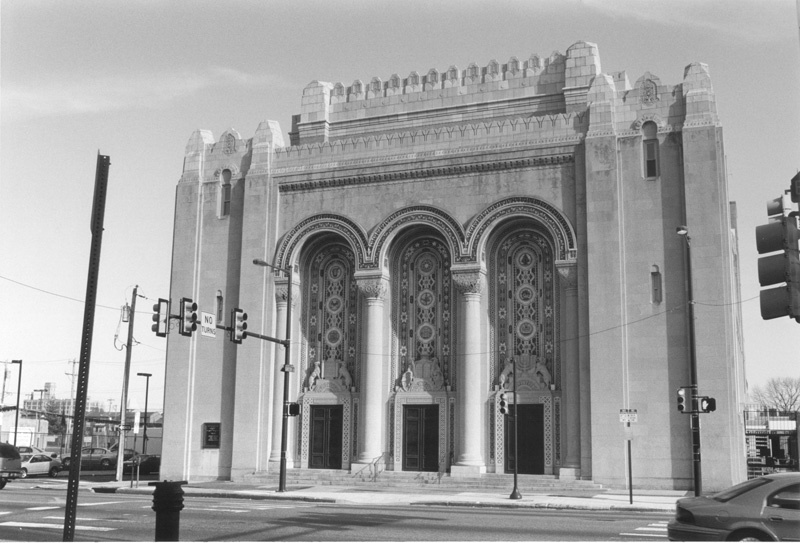 The Egyptian Revival Style flourished yet again for public buildings (especially movie theaters) from 1920 to 1930, often utilizing poured concrete as a building material. The 1835 Philadelphia County Prison (demolished in 1968) was one of the first Egyptian Revival buildings in the U.S., of imposing stone design by architect Thomas Ulrich Walter. Most surviving examples of the Egyptian Revival style are theaters, cemetery mausoleums and entry buildings, and banks. 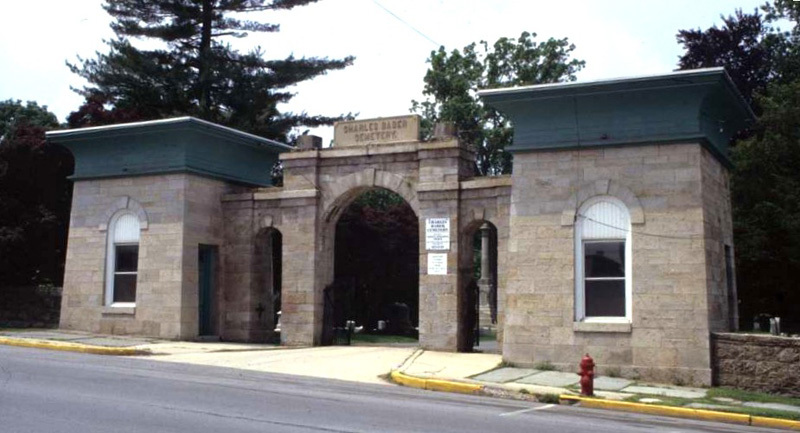 The entrance gate to the Pottsville Cemetery with its massive columns and use of symbolic funereal decorative details is an excellent example of the Egyptian Revival style. Another variation of the Exotic Revival is the Moorish or Oriental Revival style. This style, evocative of the Middle East or Far East, is notable for its ogee or pointed arch which appears at windows, and porches. Trim is delicate and ornate, sometimes with a lacey pattern. Some Moorish or Oriental Revival buildings have recessed porches or Turkish onion domes. The style was inspired in the late 18th and early 19th century by the increasing trade and contact with the Far East. The stylized and traditional architecture of this region appeared exotic and romantic. Like the Egyptian Revival, the Oriental Revival became popular again in the 1920s and 1930s. 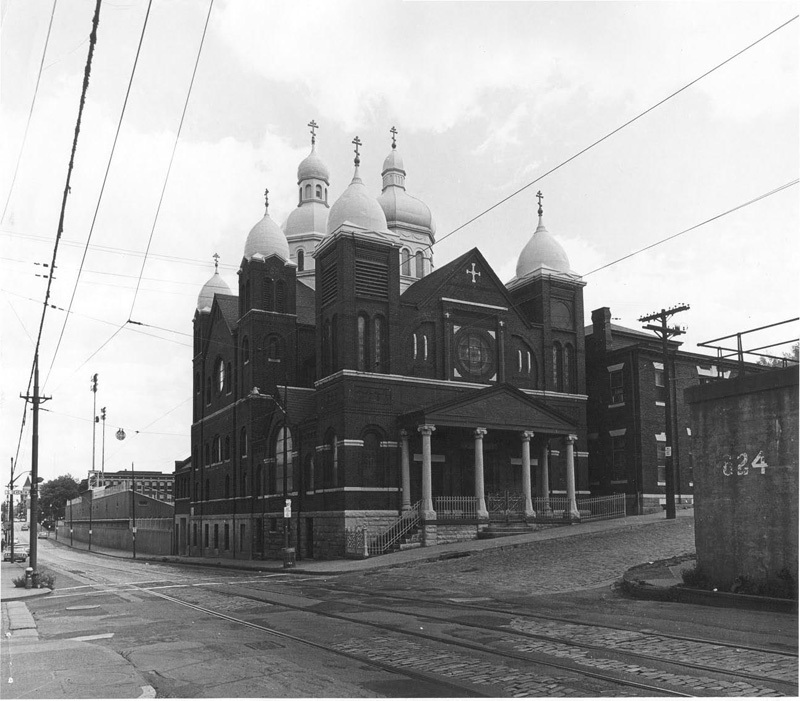 While employing different decorative details and massing, the YMCA Building and Zembo Mosque in Harrisburg are both examples of the Moorish Revival style. Chuches reflecting the Eastern European cultural tradion often are designed with gilded Moorish style onion domes. While that is a distinctive Moorish Revival style feature, it may be the only element of that style present in the overall design. The Swiss Chalet Revival Style is another variation of the Exotic Revival style. Examples of this style appeared in the pattern books of Andrew Jackson Downing, which promoted other Romantic styles. Buildings of this style emulate the appearance of Swiss chalets, with a protruding front facing gable. A distinctive element is the second floor porch or balcony with flat cut out balustrade and trim. Sometimes stickwork or half timbering appears on the wall surfaces as well. The style also has a low-pitched roof with wide overhanging eaves supported by with brackets. This style was considered appropriate for rustic or mountainous settings, but it appears, sometimes in a more vernacular form, in varied settings throughout the state. Few examples of the Swiss Chalet Revival variation of the Exotic style have been identified in Pennsylvania.